Dying hair a fiery red is a bold move. But when the color of choice transitions from red to another color, copper ends up being the final result. Even starting from darker colors and moving to lighter colors can result in an annoyingly persistent copper rather than the preferred color. Removing the copper color from hair takes some juggling and care, but the end results are worth the effort. 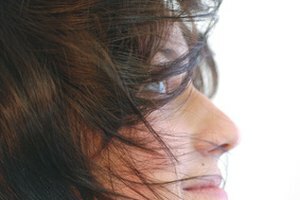 Dye hair a color that has ash undertones rather than golden undertones. A golden blond might look great on the box, but when dying from other colors to golden blond, the reddish color in the dye can result in copper, especially if starting with a darker color. Use an ash blond or similar ashy color instead. There is no red in the ash colors, and the end results have minimal or no copper in the hair. Strip the previous color from the hair before dying it again. Stripping the color, whether it is red, blond or even black, makes the next color stick better and prevents the copper color. If a coppery color results after dying, strip the color and start again. Use a shampoo for dyed hair that has blue undertones. These are available at beauty supply stores and help remove the coppery color. Ash hair colors have the blue undertones that eliminate the gold or copper colors and the blue undertones found in some shampoos have the same results. If you're unsure about the shampoo, ask the store clerk for help. 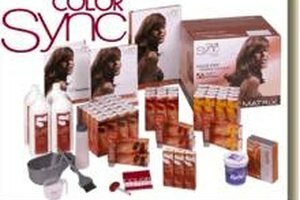 Beauty supply stores have a larger selection than typical stores and are sometimes confusing to navigate. Bleach hair before coloring. This is especially important if you're dying hair a lighter color than the natural color. 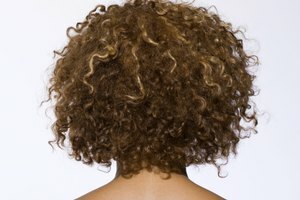 Bleach is damaging, but the only way to remove the previous color, whether it's red, black, brown or even bright purple or pink, is to bleach the hair and remove all of the color. Dye hair after bleaching and then condition the hair heavily for a week or so to help hair recover.